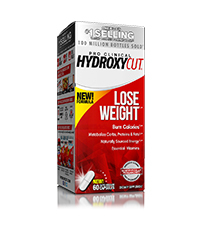 1People using the key ingredient in Hydroxycut® (C. canephora robusta) in a 60-day study lost an average of 10.95 lbs. with a low-calorie diet, and 3.7 lbs. in a separate 8-week study with a calorie-reduced diet and moderate exercise. View full study here. Achieve your weight loss goals with a brand new formula that’s 99% caffeine free! 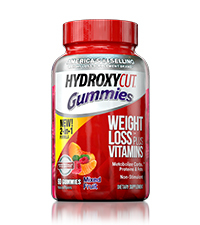 Hydroxycut Non-Stimulant can help to metabolize carbs, fats and proteins with vitamin B, plus we’ve added popular apple cider vinegar and vitamin D. In classic Hydroxycut fashion, also included is our key weight loss driver, C. canephora robusta, shown to produce significant results. You can take it anywhere, anytime – even in the evening before dinner. It’s never been more convenient to get your serving of Hydroxycut®, so you can reach your goals your own way and feel amazing! For those who don’t enjoy the stimulating effects of caffeine, this formula is 99% caffeine free. The addition of B vitamins helps to metabolize carbs, proteins and fats. Vitamin D has been added to help support general good health. This popular ingredient has also been added in a convenient, easy-to-swallow capsule. That’s great news for those who don’t enjoy the tart taste of vinegar. Thalia used the key ingredient in Hydroxycut (C. canephora robusta) with diet and exercise, and was remunerated. Results may vary. People using the key ingredient in a 60-day study lost an average of 10.95 lbs. with a low-calorie diet, and 3.7 lbs. in a separate 8-week study with a calorie-reduced diet and moderate exercise. Thalia lost 39 lbs. with help from Hydroxycut. "I’m totally amazed at how much I was able to lose with Hydroxycut. I’m 39 lbs. lighter and incredibly happy. Now, I get excited for date nights and outings, and feel like wearing my bikini everywhere! 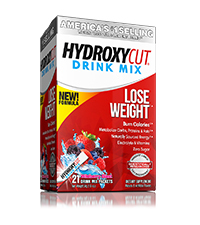 For anyone thinking about trying Hydroxycut, I’d say try it! There’s nothing to lose, except the weight."